We are always very satisfied with Cambridge Baby, the products and service are just wonderful. My wife and children love all the items ordered, and the quality of the products is second to none. We only wish that there were offers regarding shipping sometimes, as shipping to Canada can get a bit pricey! 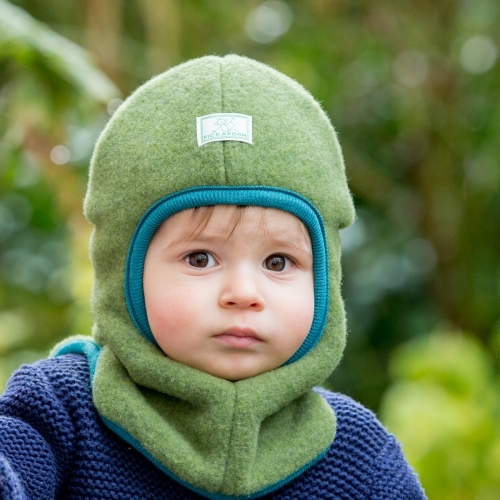 Regardless, we highly recommend Cambridge Baby products, we have never had an unsatisfactory purchase to date: excellent mittens, slippers, hats, socks, vests, jumpers... everything is A+++ ..
Soft, breathable Merino wool keeps little chests and bodies warm and the dungarees flex with your child's every movement. 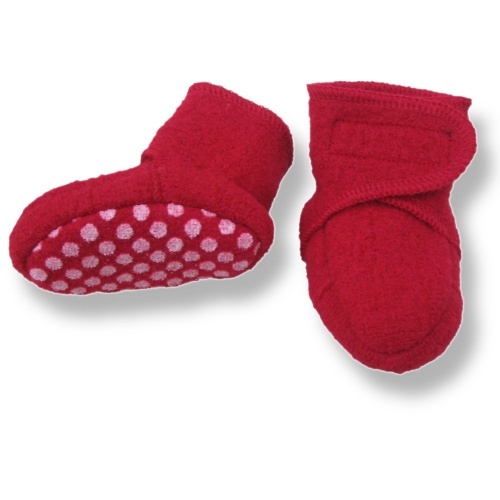 Sturdy boiled wool fleece booties with grippy soles and very solid Velcro fastenings - they really stay on! Great for young babies and crawlers. For toddlers, great in the home as they grip on wooden floors and tiles! However Disana advise that they don't offer foot support and will wear through eventually when used on hard floors. One of our most beautiful products! The lightest and prettiest of blankets with all the natural properties of pure, organic Merino wool. It brings gentle warmth while letting the skin breathe. 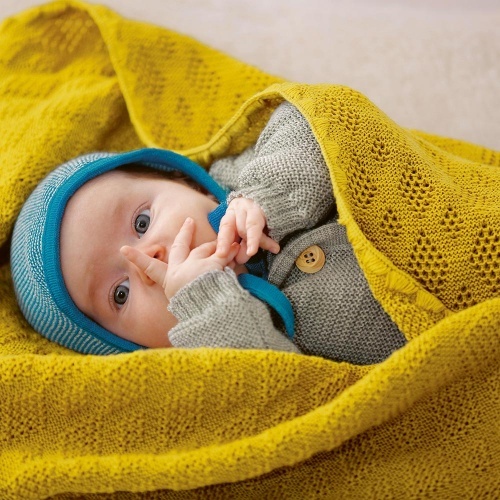 A gentle, versatile blanket for newborn babies and their Mums! This is an excellent quality, long-sleeved baby-body. 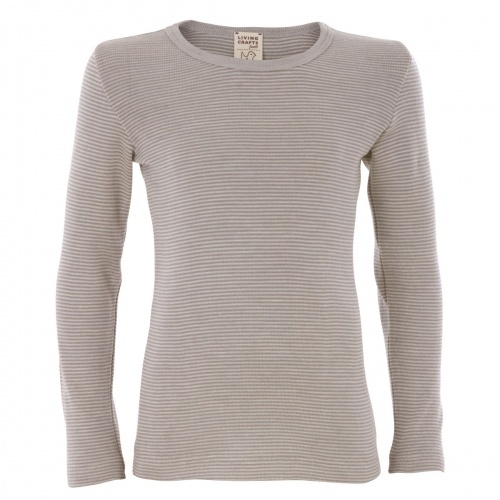 Lightweight, breathable and moisture-wicking, gentle and supple, it is ideal next to the skin all year round. 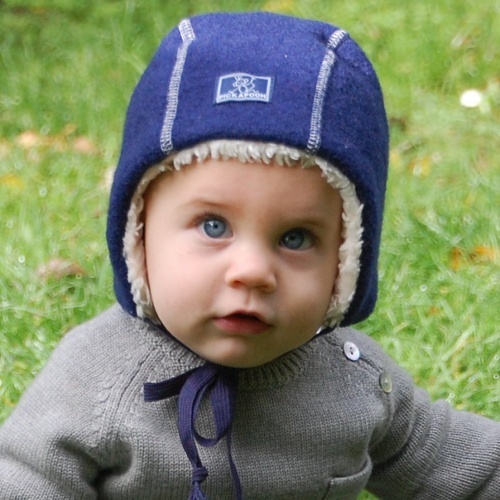 Breathable wool and soft silk - the perfect material for babies' delicate skins! Beautiful, soft breathable fabric that is so comfortable next to the skin, and long sleeves for all-over warmth. A true year-round staple to wear year after year! versatile: for everyday wear, base-layer, for skiing and hiking and even comfortable as pyjamas! A good quality, stylish and simply adorable winter hat. It fits closely to the head and covers the ears. The outer boiled wool layer is natural and breathable. The organic polar fleece cotton lining is unbelievably soft! cotton tie around the chin ensures that it stays on! 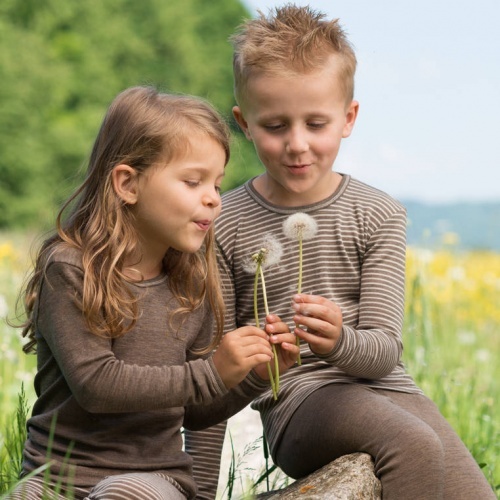 These long-sleeved vests will keep your child snug and comfortable whatever they're up to. 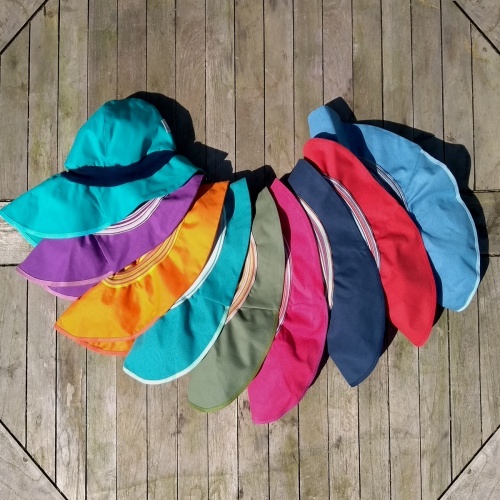 The combination of pure silk and organic Merino wool ensures that these vests are a little softer, lighter and gentler - several mums have said their children refuse to take them off! Can be worn alone as a top on warm days - they look great! standard length in smaller sizes, wonderfully long in the bigger sizes (click on "sizing" tab). With a tailored fit keeping close to the body and flattering your shape, this organic wool jacket is very warm and very soft. Looking great, feeling cosy! 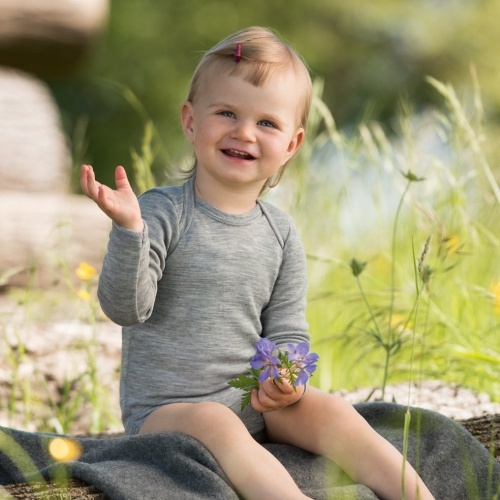 In a soft 30% silk and 70% organic Merino wool blend, these best-selling sleeveless vests will keep your child snug and comfortable whatever they're up to whilst being very gentle on the skin. 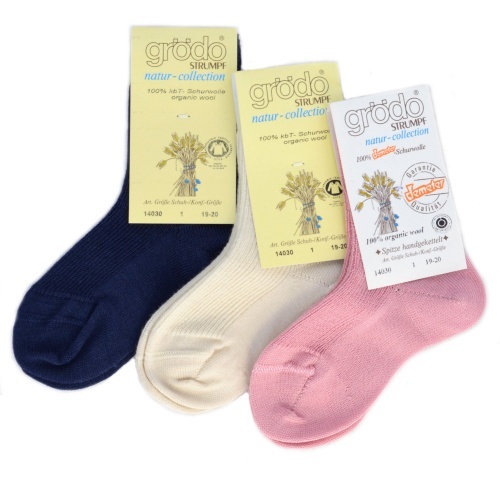 Our best selling non-slip socks are now in a medium-thick knit so can also be worn inside wellies and boots. 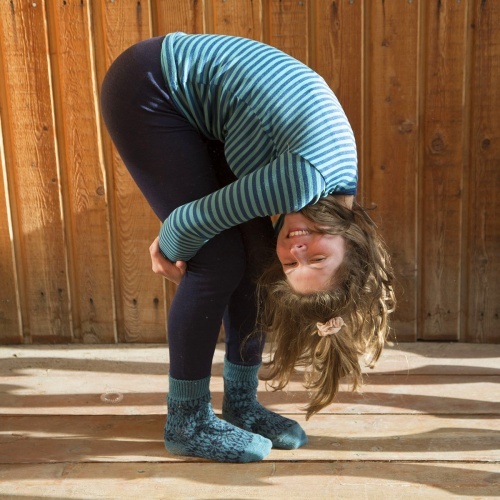 Children love these socks - and so do adults with very small feet! 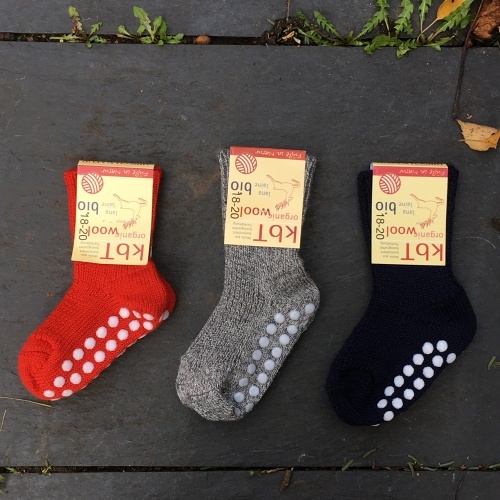 Organic wool socks for babies and children, in a soft, medium-fine knit. 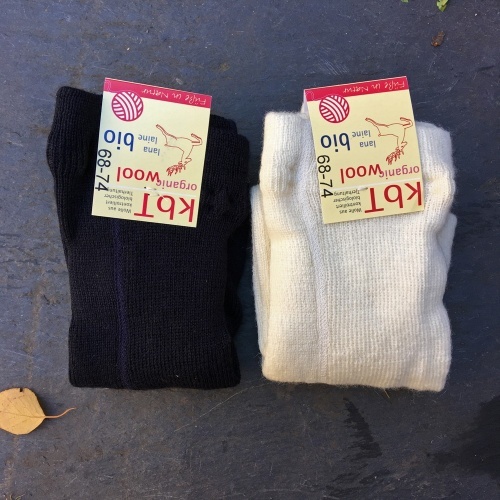 These organic wool socks are the highest quality wool socks we've seen, and so soft for even the most sensitive skins. 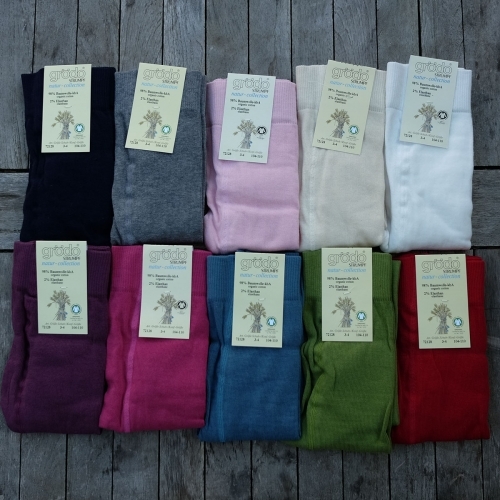 In a finer knit than our other children's tights, these are ideal organic cotton tights for school and for "best". 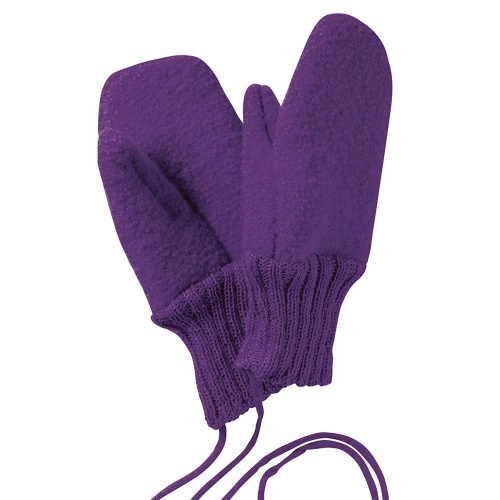 Excellent mittens for your baby or child made from boiled organic Merino wool fleece. These children's gloves are sturdy and light, and also water and dirt resistant. They are wonderfully colourful, co-ordinating with Disana's Merino jumpers, hats, coats and booties! with strings - so both gloves stay together! Gorgeous, super-soft pure wool tights available in natural and navy. 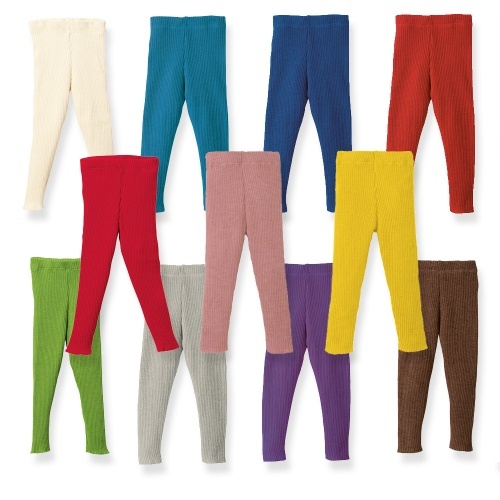 Warm and breathable to keep little legs warm and skin healthy, we've chosen these because of their soft knit and flexibility.